The late Tupac Shakur manages to continue to increase his notoriety 17 years after his death. This time it's only by tenuous association. His aunt, 65 year-old Joanne Chesimard, remains one of the FBI's most wanted, with a $2 million bounty for her capture. Chesimard, who prefers to be known as Assata Shakur, has been on the run for 34 years after escaping from a New Jersey prison in 1979. She was serving a life sentence for the shooting of a police officer in 1973. The FBI have identified Chesimard as a terorist fugitive, because of her membership of the political organisation the Black Liberation Army. After her escape she hid in a safe house in New Jersey for five years until she fled to Cuba and was granted political asylum. During her trial, her attorney claimed that she was unfairly treated due to racism. The Cuban authorities accepted these arguments. The New Jersey State Police has publicised her fugitive status on the 40th anniversary of the shooting of the police officer. Superintendent Rick Fuentes said: "To this day, from her safe haven in Cuba, she has been given the pulpit to preach and profess and flaunts her freedom in the face of this horrific crime." Tupac grew up in a family closely associated with the Black Liberation movement. His mother Afeni Shakur and father Billy Garland were prominent members of the Black Panthers. His mother was cleared of conspiracy charges against the US government just weeks before Tupac's birth. His godfather Elmer Pratt, also a Black Panther, was convicted of murder, although the sentence was later overturned. The latest publicity can only maintain Tupac's posthumous status as the name to check among radical hip-hop circles. 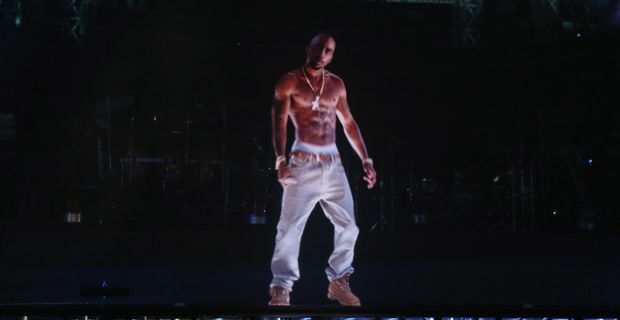 Last year's hologram "appearance" at the Coachella festival encouraged rumours that Tupac could tour beyond the grave. Dr Dre turned down the opportunity to share a stage with Snoop Dogg and the hologram on a series of US dates, a rare example of tasteful restaraint in the hip-hop world.